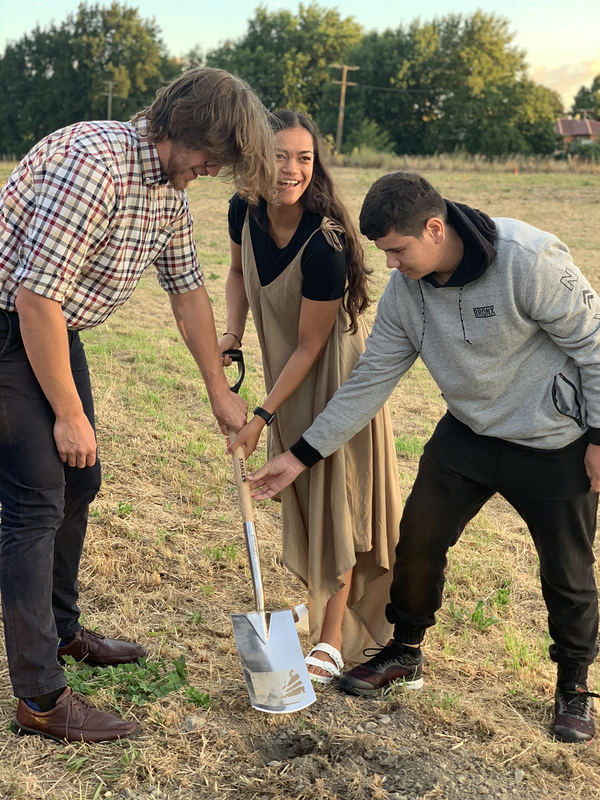 Rangitāne rangatahi Wilson Pearse, Kowhai de Thierry and Jake Andrell breaking the ground at 14 Horton Street. Thank you to everyone who joined us on Friday morning for the blessing at Horton St. I would especially like to thank Judith MacDonald and Jeff Hynes for their kōrero on the history and significance of this site. Mayor John Leggett expressed there is a lot of public interest and excitement in this development within the community. The Marine and Watercraft team are also keen for construction to begin and look forward to moving into the building once it is completed later this year. RHL/RIL Directors met last Friday, followed by an Audit and Risk Committee (ARC) meeting. We welcome Jhonte Macfadyen-MacDonald who has joined the Audit and Risk Committee. Jhonte works for Deloittes and is currently in the process of completing his Chartered Accounting Diploma. Around 20 whānau met with Tina Porou on Saturday to discuss Te Pokohiwi and the Wairau Bar. The purpose of this hui was to consult with iwi on the management plan, and to find out the importance and issues within the area. If you were unable to make the first hui you are welcome to attend the next one which will be held on Saturday, 2 March. We will have more details once they are confirmed. Te Pātaka o Wairau Māori Night Market is on tomorrow and it’s shaping up to be a fantastic night. MC for the evening is young Māori tv presenter Sonny Ngatai. Sonny will be keeping the crowd entertained along with kapa haka performances and local DJs and singers. I am particularly looking forward to the raw fish and oyster sandwiches. If you are in Blenheim bring your whānau down to Seymour Square from 4pm, I hope to see you there. The forecast for Port Underwood is looking a bit cloudy on Wednesday, but despite that we are looking forward to the Whānau Day at Pukatea (Whites Bay). We are keeping a close eye on the weather and will make the call by midday tomorrow (Tuesday). Those who have registered will be notified by phone and we will post to our Facebook page if there is any change of plans. Hopefully the heatwave will hang in there for one more day.